I like wine fests, don’t you? Unfortunately, I can’t say I was the biggest fan of the 2011 Newport WineFest that took place last weekend in Newport, Rhode Island. In fact, I walked away rather disappointed. There were just so many things that could have been done better, and frankly, there were a lot of things that annoyed the sh*t out of me. 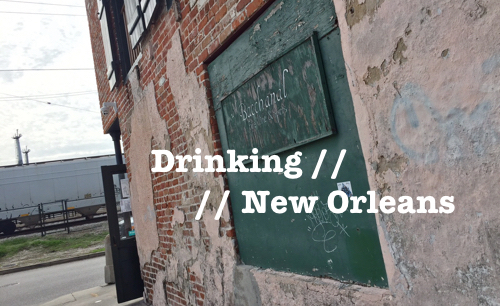 Sure, there were a few redeeming factors – the location, the weather, a tasty (and free) short rib taco. But, at the end of the day, the bad outweighed the good by a long shot. And really, I did want to like this wine fest. 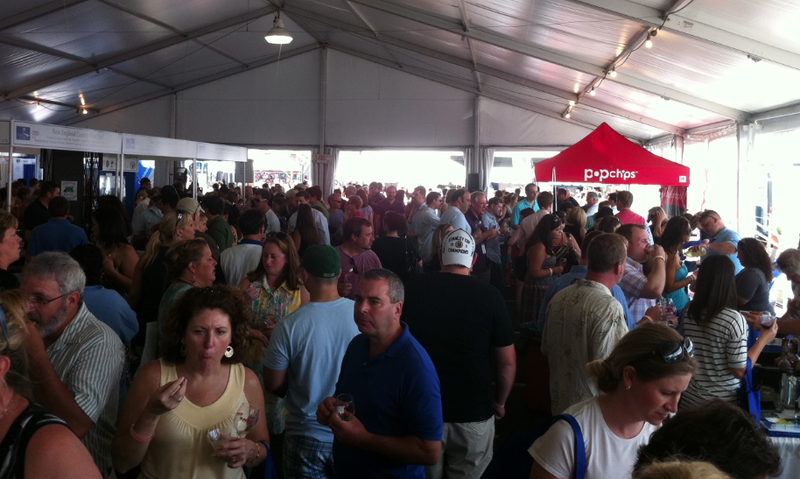 First, I’d like to clarify that the Newport WineFest is not the Wine & Food Festival in Newport. 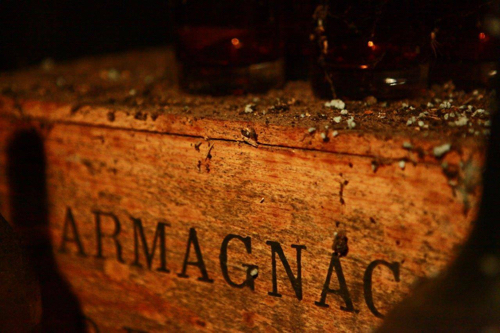 The former is a second year wine event, produced by a group out of Connecticut called 360 Marketing & Events. And I suppose – I myself being in the marketing and events business – can excuse some of the growing pains that occur during a second year event. Talking to some folks in the massive lines outside the festival who had attended last year’s inaugural event, the first year was much more mellow. So, perhaps the producers of this year’s Newport WineFest were just not expecting the kind of turnout that they received. And I congratulate them for this terrific turnout, but with popularity comes responsibility. Perhaps the most frustrating part of the event was before the event even began, outside the tents, in line. The confusion, lack of organization and long, wavy lines that formed to get into the festival were beyond ridiculous. You pay good money to go to these events, perhaps you drive from an hour or two away to get to Newport. Perhaps you have to pay $30 for parking. Heck, maybe you rent a hotel to stay the night and make a day of it. So, for many of the folks who had to wait over an hour (of a 4 hour event) just to get in, anger and frustration was already neck high before they even placed a hand on a wine glass. The outside issues were in much part due to the fact that the producers of this event seemingly oversold the first session, and did so mostly through deal of the day sites such as Living Social and Buy With Me. I was one of the folks that had purchased from such a site, and when I finally did get up to the table to check-in my Living Social voucher, I saw a binder of what must have been thousands of names sorted by every deal of the day site imaginable. 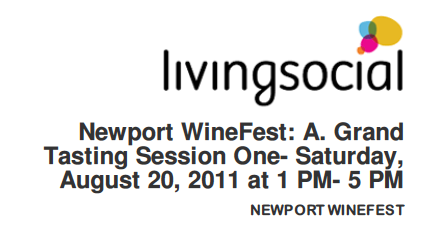 Perhaps they should have called this the Newport Deal-of-the-Day WineFest. Oh, and by the way, once the vouchers were checked in, you then had to check yourself in, which started at the end of another 30-minute line. Organization and efficiency, folks. Two of the most important elements of a well-run event. Next up, the crowds. As I mentioned, the first session (Saturday 1pm – 5pm) of this event – the one I went to – seemed well beyond capacity. Entering the front “doors” of the tent, one was immediately overwhelmed with crowds. Lines were 10-deep waiting for pours and as you made your way throughout the three tents and “festival” grounds, people were continuously trapped inside herds, searching for openings, navigating seas of wall-to-wall people. I’ve been to crowded wine events before. I’ve navigated herds at the Boston Wine Expo. But this was on another level. This was a packed Fenway Red Sox bar watching Game 7 of the World Series. People aside, there was another major issue: Wine. This event was marked as a “wine fest,” not an event with a little wine and a lot of everything else from spirits to jewelry. To the producers’ credit, the website does state that this event is an “experience of world-class wines, spirits, specialty beers, lifestyle products and featured dishes.” However, it is called a “WineFest,” so one may assume that the focus would be on wine. This, unfortunately, was not the case. In short, I’ve never been to a wine event where I had less opportunity to drink wine. 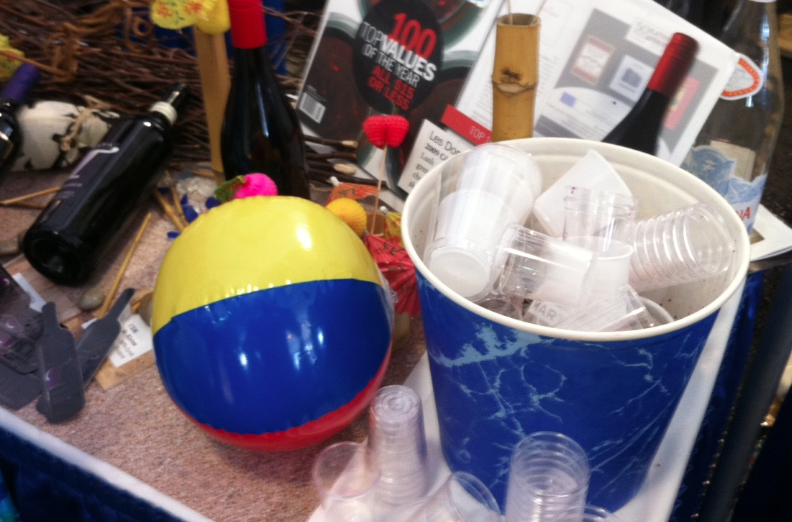 I would estimate that less than half of the booths had wine – and I think that’s a generous estimate. The booths that did were constantly over-crowded, and there was a clear lack of “interesting” wines. A simple recommendation/change may have fixed this “wine” issue. Don’t call an event “WineFest” when that is simply not what it is. Call it Food & Drinks on the Water. 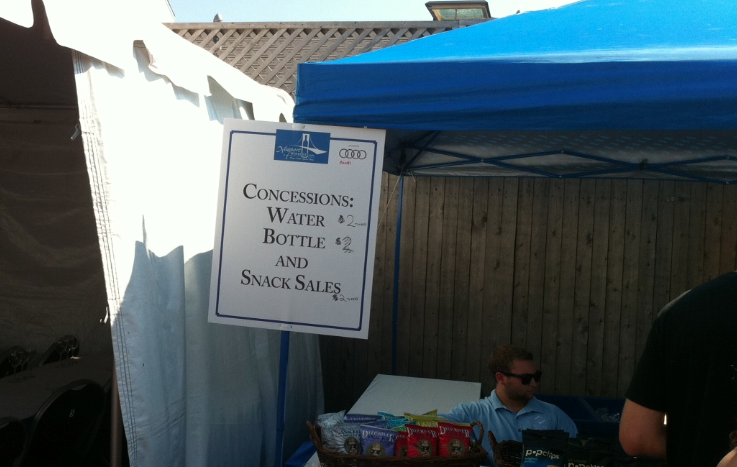 The 2011 Newport Deal of the Day Food & Drinks on the Water Fest… How about that? Which brings me to my next point: water. Every wine event I’ve ever been to has provided free water. 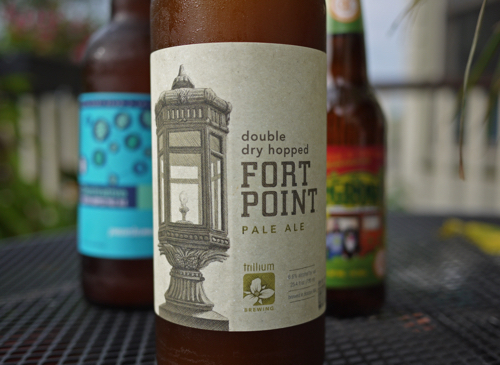 Consider this: you’re in the hot August sun, in Newport, in the middle of the day, surrounded by sweaty people, drinking alcohol… water is not a nice to have, it’s a need to have. Not to mention, you’re at a “wine” event. Rinsing from time to time is kind of important. In my book, this was a major oversight that had major negative impact. Okay, they’re big things. They’re HUGE things. Unfortunately, in this case, there was a lack of both. And there was also a lack of garbage cans, so spit buckets filled up with garbage and bathrooms filled up with, well, people who had to drink all their wine because they couldn’t pour it in spit buckets. I tried to brave the line to the one lone bathroom, but never did make it to the front; I left. Port A Potties, folks. Port A Potties, spit buckets and bathrooms, oh my! In summary, I’m not going to tell you to not attend this event next year (if there is one). As I said, I’m sure a lot of people had a great time and enjoyed themselves. But I am going to tell you to consider that there were a lot of things that made this event sub-par. None of these things are unfix-able. So, perhaps, next year will be great. 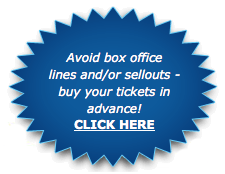 But, I would recommend that you don’t buy your tickets in advance. Scope the scene, see if the producer’s have learned from their mistakes, and consider it then. I mean, it is a nice spot on the water in Newport. 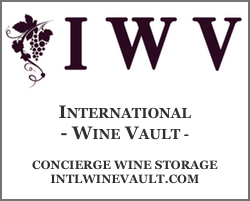 It’s a great event concept and a great weekend to be drinking wine. So, here’s to hoping they’ll get their act together and make this a better event in the future.